Prior to Android "L" preview, the easiest way to setup tabs with Fragments was to use ActionBar Tabs as described in ActionBar Tabs with Fragments guide. However, all methods related to navigation modes in the ActionBar class (such as setNavigationMode(), addTab(), selectTab(), etc.) are now deprecated. As a result, tabs are now best implemented by leveraging the ViewPager with a custom "tab indicator" on top. In this guide, we will be using the PagerSlidingTabStrip to produce tabbed navigation within our app. Note: Want to avoid using a third-party library for tabs? 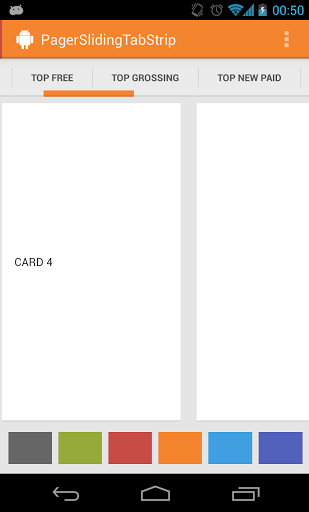 Check out how to build sliding tabs using Google's TabLayout approach. Make sure to add the xmlns:app namespace as shown above to your root layout. Now that we have the ViewPager and our tabs in our layout, we should start defining the content of each of the tabs. 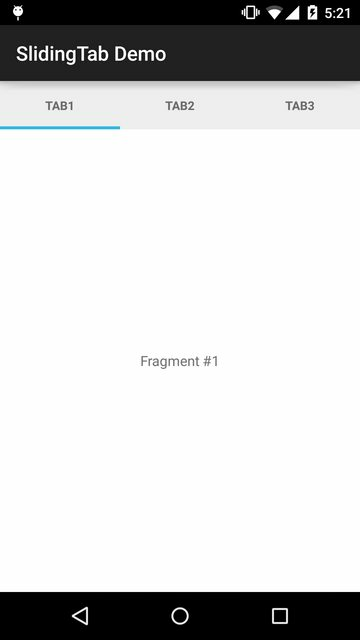 Since each tab is just a fragment being displayed, we need to create and define the Fragment to be shown. You may have one or more fragments in your application depending on your requirements. You would need to do redo this process for each section you want to have a tab for in your activity. The next thing to do is to implement the adapter for your ViewPager which controls the order of the tabs, the titles and their associated content. The most important methods to implement here are getPageTitle(int position) which is used to get the title for each tab and getItem(int position) which determines the fragment for each tab. Read the ViewPager and FragmentPagerAdapter for additional details. In the onCreate() method of your activity, find the ViewPager and connect the adapter. Set the ViewPager on the PagerSlidingTabStrip to connect the pager with the tabs. Read the ViewPager and FragmentPagerAdapter for additional details such as how to access and modify the current selected tab. // This method will be invoked when a new page becomes selected. Now we can programmatically handle page changes as they are applied. textSize If set, it will use this value for the tab text style (default = 12sp). textColor If set, it will use the color specified here. All attributes have their respective getters and setters so they can be changed at runtime. 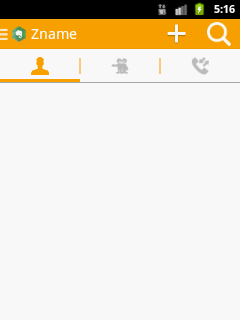 With this we can update the text for the tab to display update indicators or other changes as the app receives data. If you need further customization of your ViewPager tabs such as completely custom tab design, check out Google's TabLayout approach or this alternative third-party library SmartTabLayout.